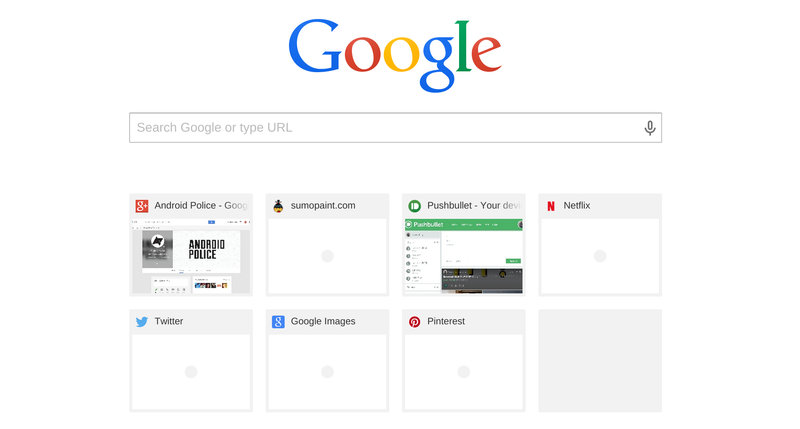 Chrome may be one of the most popular web browsers out there, but its new tab page still manages to look like an unfinished product much of time. That's because the browser takes screenshots of your most visited webpages and lists them in a 4 x 2 grid, only sometimes it doesn't have a screenshot to work with. In those cases, it leaves the square blank. The Chromium team is currently working on a way to pretty things up. It has an experimental new tab page in the works that replaces these largely blank squares with high-quality icons. Here we see the feature on desktop, but presumably it will take effect on Android as well. 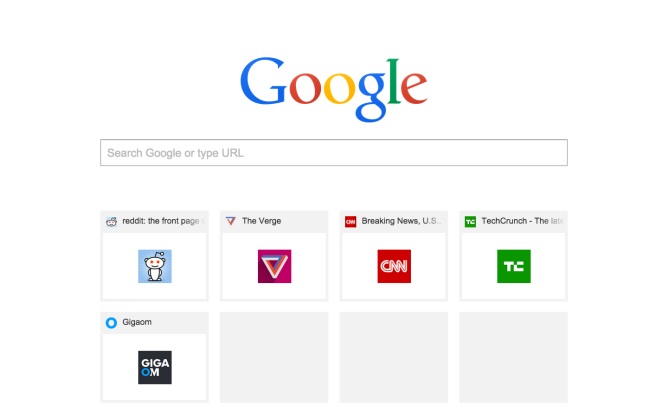 For websites with favicons that aren't large enough to generate a pleasant icon, Google is considering a fallback that places the first letter of the site against a colored square, similar to bookmark apps. This feature is still a bit rough, so you have to run Chrome Canary with --force-fieldtrials=IconNTP/Enabled/. 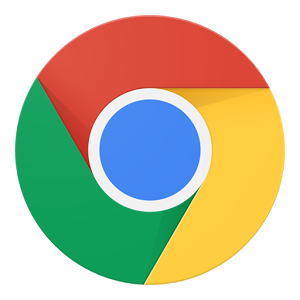 If you need a refresher on how to run Chrome with a switch, the Chromium team has provided instructions that should get you all set up.